Since our founding, Hudson Headwaters has earned a reputation for leadership in delivering primary care to rural communities, and as a safety-net provider for the more populated areas we serve. To address the health care needs of our communities, Hudson Headwaters has made innovation a key strategy. 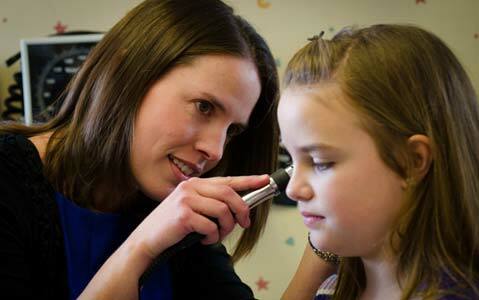 Pioneering the extensive use of physician assistants and nurse practitioners, helping to sustain primary care in small, sometimes remote Adirondack towns. Establishing a national demonstration project that provides discounted pharmaceutical services for uninsured patients. Co-Founding the Adirondack Medical Home Initiative, a joint effort to transform health care delivery that includes more than 30 primary care practices, five hospitals, seven commercial health plans, Medicare, Medicaid and the New York State Department of Health. The Initiative has helped to improve care, expand access, and contain costs in a six-county region. Developing a staff of care managers who help patients better understand their conditions, medications, and work to improve coordination of care across the spectrum of service providers at Hudson Headwaters and in the community. Our care managers also work with patients newly released from the hospital to ensure that they receive appropriate follow up. Instituting a “team care” approach to primary care that includes behavioral health providers, care managers and more. Patients with chronic health issues can benefit from mental health services. Collaborating with regional health care providers to ensure that our patients will find the services they need, beyond what Hudson Headwaters can provide.